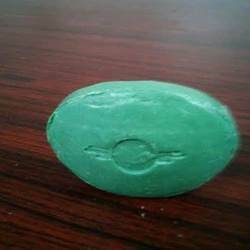 We are a leading Manufacturer of neem soap, neem aloevera soap, glycerine soaps and neem gold soap from Bahadurgarh, India. Cherished as a reliable manufacturer and supplier, we offer the premium quality of Neem Soap to our esteemed customers. Available with us in various sizes, the offered neem soap is processed by using natural and herbal extract of neem. As a quality focused name, we assure that the quality of neem soap is never compromised. Keeping the track of latest happening in this domain, we manufacture the finest quality of Neem Aloevera Soap. The best quality of neem & aloevera extract is used for processing of the offered neem aloevera soap. Motivated to attain maximum customer approval, we deliver the offered neem aloevera soap within the promised time frame. 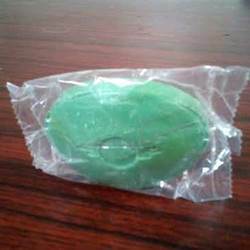 Glycerine Soaps.With the aid of our adroit professionals, we are engaged in offering these Glycerine Soaps. 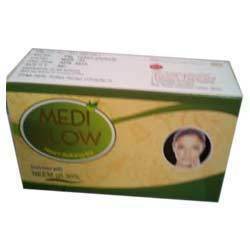 The soaps provided by us are well processed using optimum quality ingredients under the supervision of the adroit professionals. 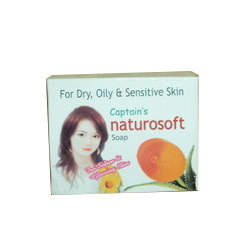 The offered soaps are generally used to remove impurities and make the body fresh. Also, the offered soaps are checked on diverse parameters by our quality inspectors to ensure their genuineness. Owing to our rich experience of this domain, we offer our customers with high quality of Neem Gold Soap. Available with us at competitive prices, the offered neem gold soap is skin friendly in nature and is known for its chemical-free composition. Due to our large production capacity, we take and complete bulk orders of neem gold soaps. Looking for Natural Beauty Soaps ?